Many Windows 10 users have reported of getting the “NVIDIA installer failed” error on various forums. This error mainly occurs when you are installing graphics drivers for the first time after upgrading to Windows 10 or updating NVIDIA drivers on your Windows 10 system. For many gamers, it is a frustrating issue as the computer would not be able to use the GPU until the drivers are installed. 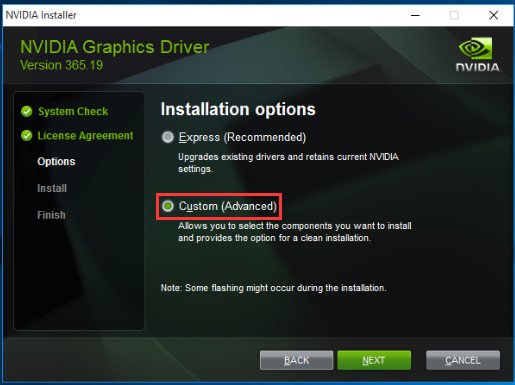 If you are encountering “NVIDIA installer failed” error, there is nothing to worry about as we have listed some simple solutions that could fix the issue. Why do you get the “NVIDIA installer failed” error? When this error occurs, many users are quick to reach a conclusion that there is some problem with the NVIDIA installer file. But this is not true. After you upgrade to Windows 10, the Windows Update tool springs into action and starts downloading latest drivers for all components in your computer. The Windows update also tries to attempt to download and install latest GPU drivers in the background. The update process generally runs for 10-15 minutes. If you try to install NVIDIA drivers during that period, you will get the “NVIDIA installer failed” error, as Windows update is trying to update GPU drivers and does not allow other GPU drivers update process to run at the same time. Thus, you can see the “NVIDIA installer failed” error occurs because of a clash between two update processes. This issue can be resolved easily. How to fix the “NVIDIA installer failed” error? After you have upgrade to Windows 10, let your system sit idle for 15-20 minutes which will allow the Windows update to complete all its background update processes. Restart your computer and try to install the NVIDIA drivers by following the steps given below. Follow the on-screen instructions to install NVIDIA drivers. 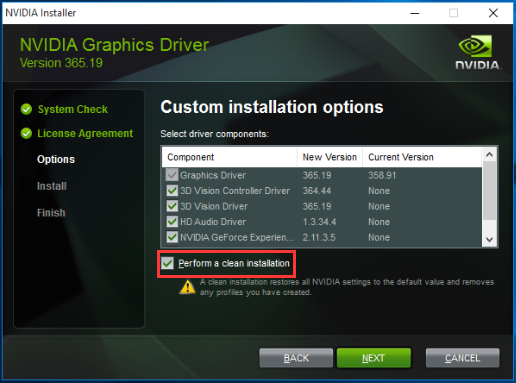 In most cases, the NVIDIA installer is able to install drivers without any problem. If you encounter the “NVIDIA installer failed” error again, you need to try the solutions given below. We have given four solutions that could fix the “NVIDIA installer failed” error. You are not required to try every solution given in this post. Start with the first solution and see if it fixes the issue. If it doesn’t fix the issue, try the next solution. Keep on trying the next solution in the list until the issue gets fixed. While you can update your drivers manually, the process can be tiresome, not to mention less than perfect. That’s why we recommend users to use a reliable driver update software tool such as DriverDownlaoder. DriverDownloader updates all your outdated drivers automatically once you register it. With this driver software tool installed on your system, you’ll no longer have to worry about outdated drivers and various issues resulting from them. 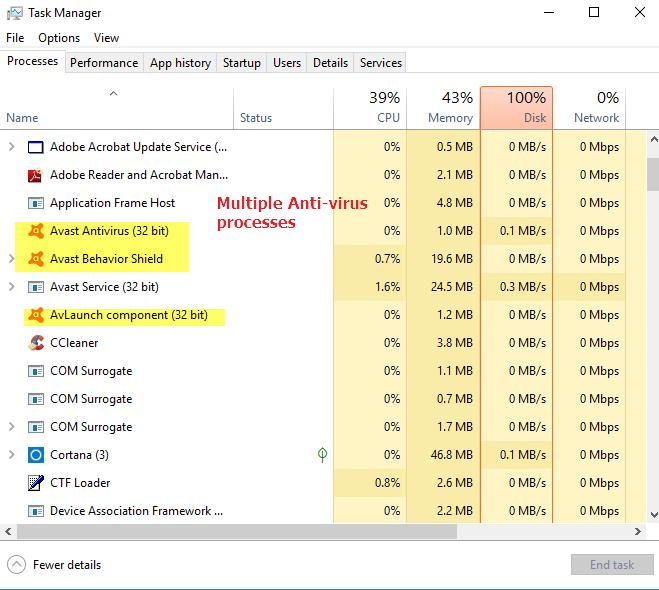 Many times antivirus and firewall block installation on Windows computer to protect your system from malicious programs. Sometimes it can be a false alarm like in the case of NVIDIA installer which is safe to run. 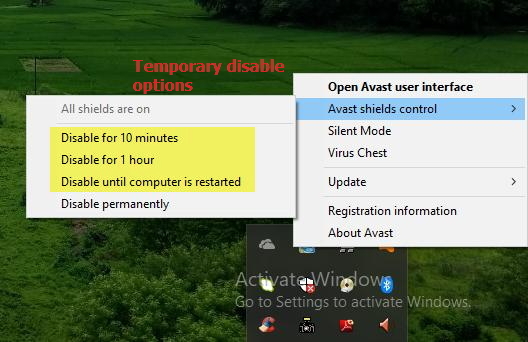 To prevent antivirus and firewall from interfering with the installation process, you need to turn off Antivirus and Firewall temporarily by following the steps given below. The steps to disable antivirus and firewall can differ from one antivirus to another. The steps give below are general and for reference purpose only. Read the antivirus documentation to know the exact steps to disable it temporarily. 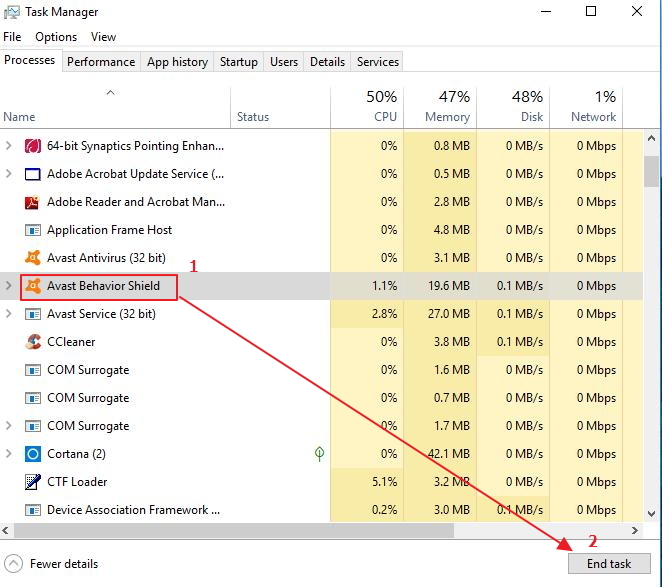 After you have disabled the anti-virus and firewall temporarily, you need to also ensure there are no processes of anti-virus running in the background that might block the NVIDIA installer. Here are the steps to follow. Click on the process and then click on End process to terminate the process. 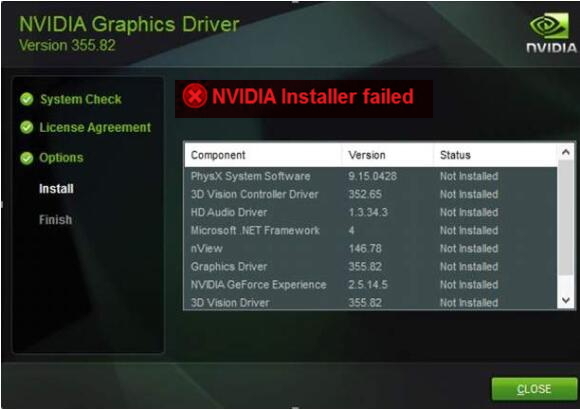 There is a possibility that the old installation of NVIDIA drivers is creating problems for NVIDIA installer. In that case, you need to delete all NVIDIA related files and also kill NVIDIA related processes before running the NVIDIA installer next time. Here are the steps to follow. Now delete the files listed below (if they exist). You might be required to log in as administrator to delete the following files. If you still encounter “NVIDIA installer failed” error, the last resort is reinstalling Windows again. There is a possibility that some of the windows components are corrupt which in turn might be causing the “NVIDIA installer failed” error. In such cases, reinstalling Windows is the only option left for you. Kindly note reinstalling windows will lead to the removal of all files and software. Hence, you need to back up all your documents and files before you reinstall windows. After reinstalling Windows operating system, run the NVIDIA installer with custom installation and perform clean installation options. In most cases, you would be able to install GPU drivers without any problem.